In a world full of smart devices, self-driving cars and voice assistants, Shazam is the closest technology comes to actual magic. The software allows you to hold your phone up to a speaker and answer the age-old question, "what is this song and who's it by?" without the humiliation of having to ask the DJ. And in 2018 the answer, most frequently, was "Solo by Clean Bandit". 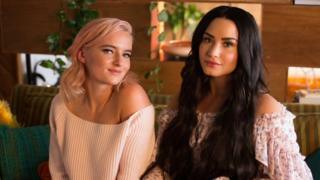 The song, which features US star Demi Lovato, was tagged 9.1 million times. That's half a million more than the second most searched-for song, X by Nicky Jam and J Balvin. British artists performed five of Shazam's top 10 songs, with Calvin Harris, Dua Lipa and newcomer Tom Walker all making the chart. Anne-Marie and Marshmello's hit single Friends was also the most searched-for track in a single day, racking up 800,000 tags on 8 April. The peak in curiosity came a full two months after the song was released, illustrating how slowly songs filter into the public consciousness in the streaming era. In a similar vein, Ed Sheeran's Perfect, which is now 21 months old, was the most sought-after pop song of 2018. The former Christmas number one has been Shazamed a total of 16 million times, raising the question: "Are there really 16 million people who haven't heard of Ed Sheeran?" Sadly, the company's press release remained silent on the matter. Drake was the most searched-for artist of the year but failed to make the top 10 - presumably because his searches were split across the 21 tracks on his Scorpion album. J Balvin was the app's second most-popular artist; and scored two entries in the top 10 (although none as a solo artist). Shazam's technology works by analysing the unique sonic fingerprint of a song - which it uses to match the music in its database to the audio you send via your phone. The company was bought by Apple Music last year for a reported $400m (£316m). At the time, it had more than 120 million monthly users; and was one of the few music technology companies to be turning a profit. Apple's hope was that the app would drive users to its streaming service, which is currently second only to Sweden's Spotify in terms of subscribers. The takeover was held up by the European Commission over concerns it would give Apple Music an unfair advantage over its rivals, but the acquisition was finally approved in September. Apple has subsequently updated the app to remove adverts.